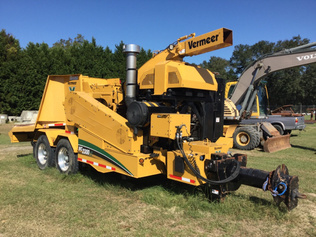 Buy and sell used Chipping & Mulching Equipment from any and all manufacturers, including Bandit, De Bruin Engineering, Morbark, Vermeer and more. From Chipper: <75mm and Chipper: ≥75mm to Misc. Chipping & Mulching Equipment and Mulcher, you can be sure to find exactly what you need. If you are looking for a used Chipping & Mulching Equipment, be sure to check out our upcoming equipment auctions.